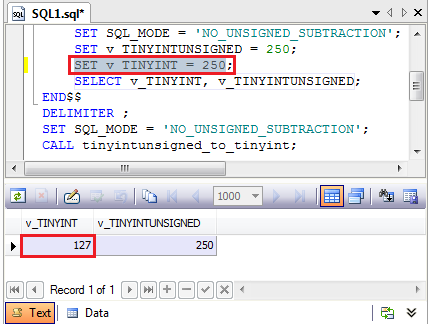 In one of our posts, in the Be Careful While Using UNSIGNED Data Type in the Routine Body one, we’ve explained how to get invalid data in routine body when using UNSIGNED data type and that in this case MySQL does not throw any exceptions. 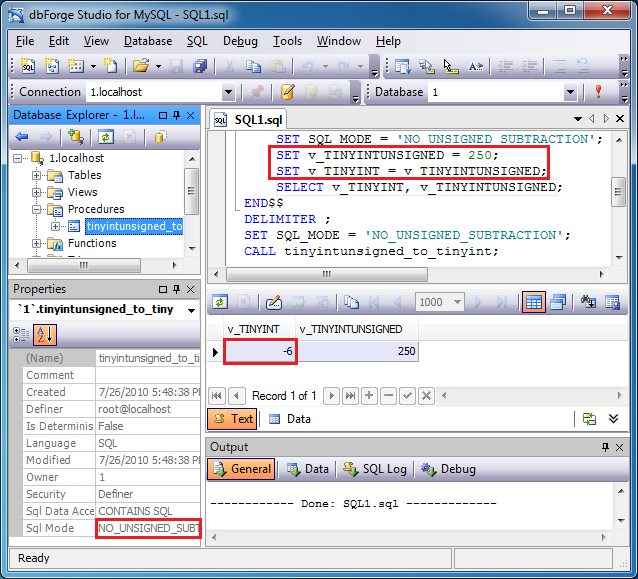 One of the possible solutions of this problem is explicit setting of the NO_UNSIGNED_SUBTRACTION mode as it is shown in an example in the MySQL documentation. As you can see from the results, in this case MySQL handles assigning number incorrectly. As you can see, in this case the routine was also executed without any errors or warnings. So that’s why try to use the UNSIGNED data type in routine bodies as seldom as possible. What do you think about this? Do you use the UNSIGNED data type in your routines?